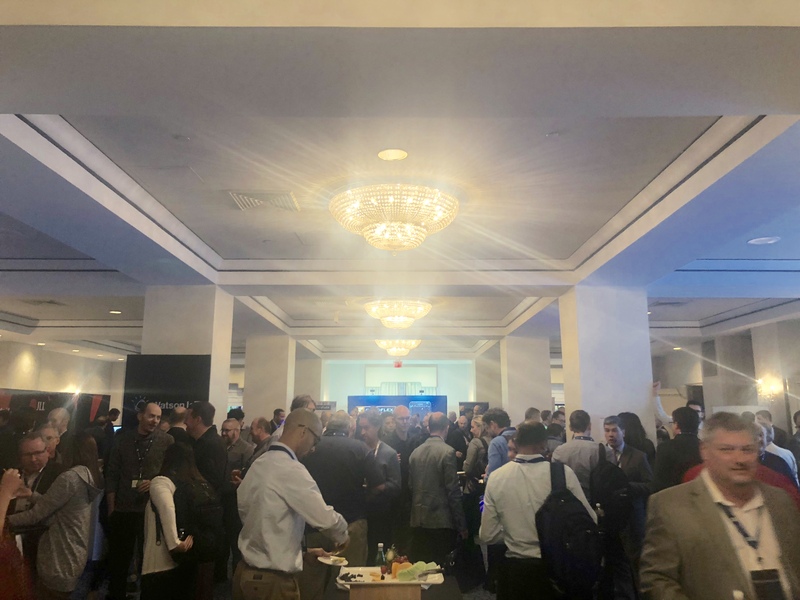 TRIRIGA University kicked off bright and early this morning in Washington, D.C.
With 670 attendees representing 160 organizations from 18 different countries, the room was packed for the opening keynote and panel. Everyone was eager to hear about the evolution of IBM TRIRIGA and the innovation surrounding smart buildings of the future. Here are a few of the top highlights. 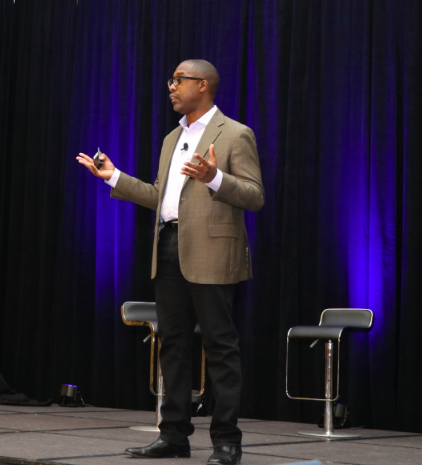 The morning began with an inspiring keynote presentation from IBM Watson IoT’s, General Manager, Kareem Yusuf. He stressed the point that TRIRIGA is just the software by which our clients and partners can find new value in their businesses. If our technology helps improve how they perform their jobs, we are all winning. The goal of facilities optimization are operational excellence, smarter buildings, and improved workplace experiences. The business metrics haven’t changed. Businesses still want to cut costs and improve efficiencies in these areas. We want to help enable you to make useful decisions to progress these goals. There is a tremendous amount of new technology emerging onto the market. But how do we apply all of this new technology in a way that works and drives excellence? Real estate is primarily a people challenge. When you think about the people first, you begin to prioritize what will improve the quality of life for your people. This could be temperature in the office or even Wifi challenges. Rodolphe shared an example of how fixing a simple thing like Wifi range in a building improved occupancy and space utilization. With IoT, Analytics and AI, business leaders can drive greater efficiency and engaging workplace experiences across facilities. AI and machine learning are so important to the journey because it is about finding meaning in the patterns. Watch the demo below to see how IBM IoT Building Insights is helping facility leaders learn and predict how buildings consume energy. Leveraging IoT data, predictive analytics and AI, optimize and continually learn how your buildings are behaving in relation to occupancy levels, energy consumption and more. Learn more about IBM IoT Building Insights. 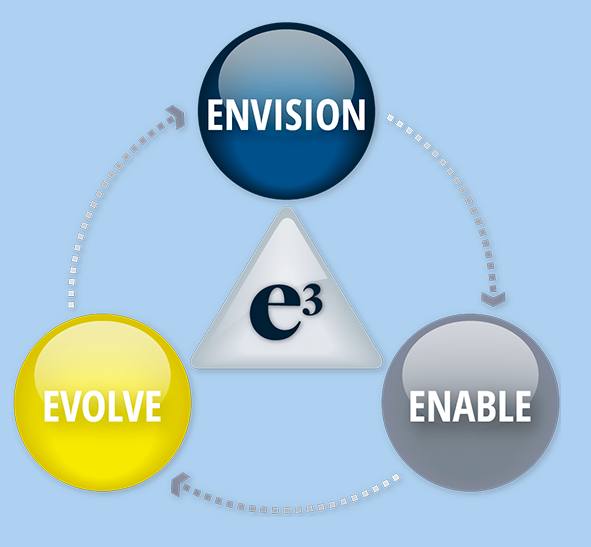 When it comes to executing a facilities management vision, Phil Wales shared his “Triple E” model: Envision, Enable and Evolve. Envision – the future. Understand where you are going with a strategic roadmap and business assessment. Enable – Optimize your business processes across the entire lifecycle of the assets you manage. Align the technology to your business needs and use proven measures to implement the technology. Evolve – Evaluate, communicate and manage change. With any change comes new challenges. As he stated, “when you insist, people will resist.” This is why it’s even more important to have a plan in place around managing this change. Don’t forget to watch the Quick Bytes live video with Phil from earlier today as well! To earn the right to talk to you about new innovations, we need to make sure the core of TRIRIGA is giving you what your business needs to drive operational excellence. We need to make sure you can do your space planning, lease accounting, maintenance management, and capital planning. Lease accounting is of extreme focus at this year’s event with the new 2019 standards looming on the horizon. Kareem gave it special attention at the keynote and there are many sessions dedicated to this topic throughout the event. The good news? There is light at the end of the tunnel and we will all get there together. 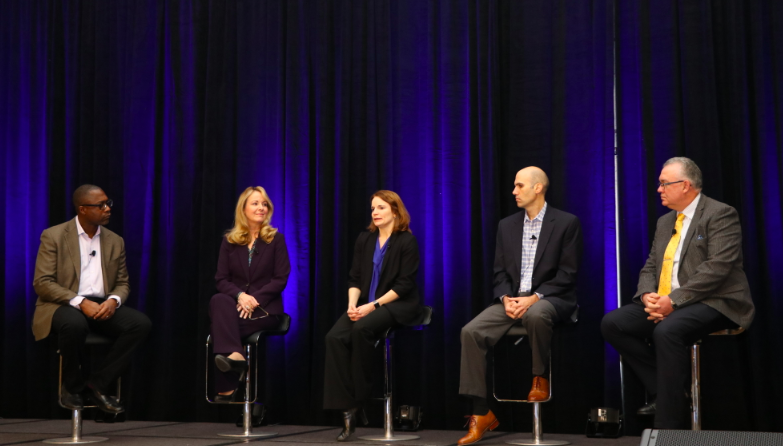 During the morning’s panel, Kareem brought up several TRIRIGA clients to talk about the changes they are seeing in this space and how they are putting this technology to work. Of particular interest was the evolution of how we use our buildings. Gone are the days where employees sit in a cubicle for eight hours and then go home. Now buildings and the space within them must evolve to meet the needs of workers who require a variety of different types of spaces to maximize their productivity. TRIRIGA helps to understand those needs and ensure they are met. Lisa Seacat DeLuca joined us to kick off our Quick Bytes Live Video series. This series will run through the event and feature IBMers, partners, and clients telling their stories of transformation with TRIRIGA. Lisa shared her recent accomplishments, including being named a LinkedIn Top Voice, being listed in MIT 35 under 35, driving the #SheCanStem campaign, and what’s to come at the Women in Technology luncheon tomorrow. Attendees were offered the opportunity to gather with others of similar interest areas at lunch. 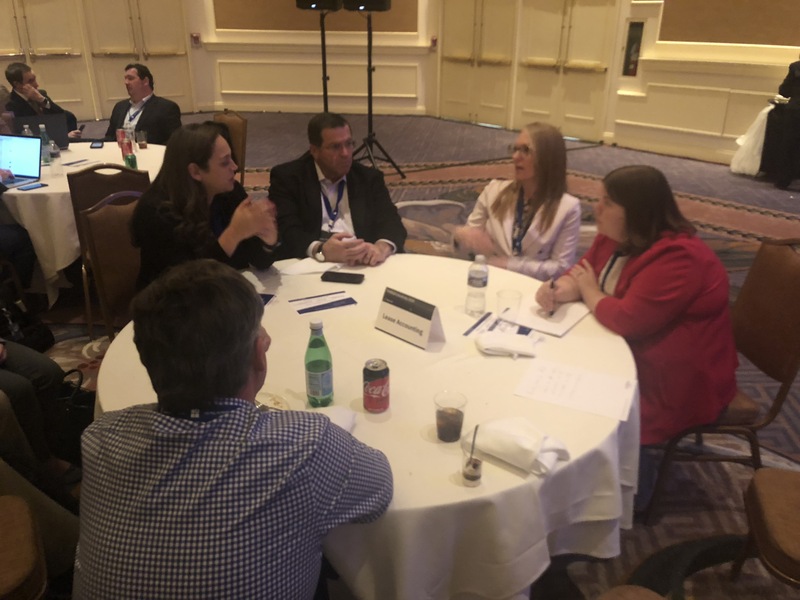 There were seven tables dedicated to key topics: federal, financial services, retail, higher education, migration to cloud, lease accounting, and commercial buildings/Watson Assistant. Conversation was flowing and many ideas were hatched. The first day of activities was rounded out with an expo networking reception. The room was packed with attendees discussing the sessions of the day, the exquisite cheeses being offered up, and the various demonstrations being offered at the booths. An excellent way to end Day 1 of TRIRIGA University! Stay tuned for more TRIRIGA University posts and follow the conference on Twitter at #WatsonIoT and #TRIRIGAU.